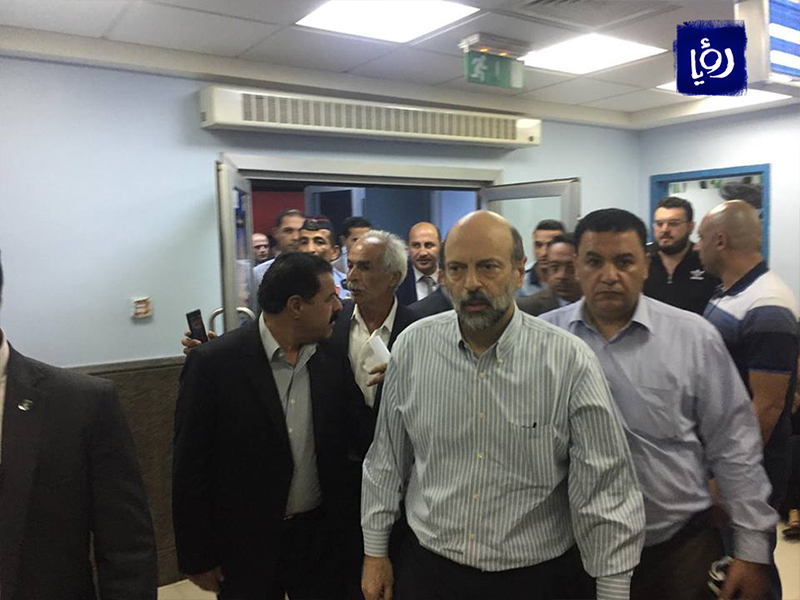 Prime Minister, Omar Razzaz, visited South Shouna hospital following his visit to the site where the rescue and search operations for flood survivors in the Dead Sea are taking place on Thursday, October 25, 2018. The Director of the Shouna Hospital, Dr. Fayez Kharabsheh, confirmed that the flood has resulted in ten deaths and 22 injuries. Kharabsheh told Roya that those injured are currently receiving treatment, and that many are suffering fractures and bruises. One case was transferred to Al-Bashir Hospital in Amman, while another two cases were transferred to Al-Salt Hospital. Bodies of those deceased were transferred to the forensic laboratory to determine their identities. 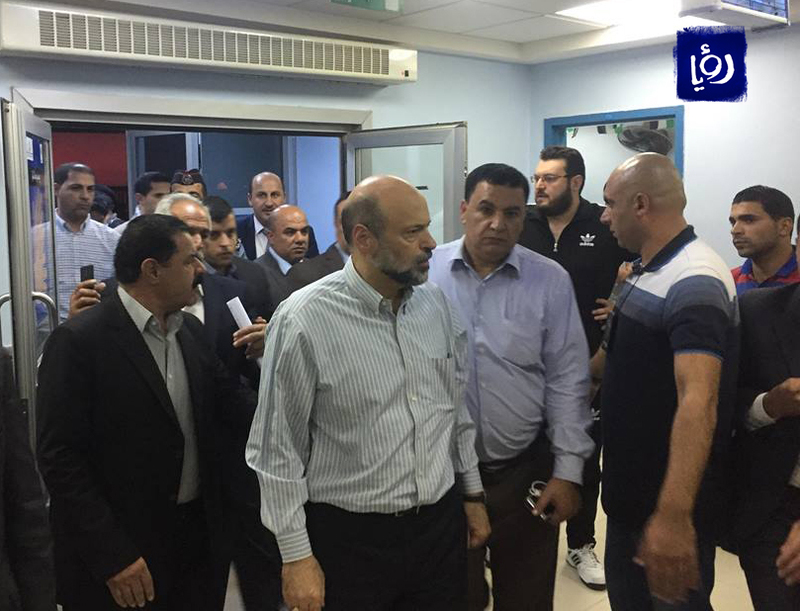 Prime Minister Omar Razzaz along with a number of ministers and officials are currently supervising the search and save operations taking place on-the-ground.